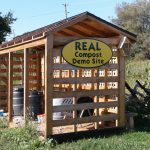 Once a year, REAL offers REAL Action Grants to deserving community groups, so they can take on a local, hands-on environmental project of their own. REAL first offered $250 grants in 2014 in honour of its 25th anniversary year. Three grants were awarded in 2017 and 2018 thanks to a donation from the Pilkington Henniger Charitable Trust Foundation. Applications are now being accepted for the 2019 grants, with a March 18, 2019 application deadline. Projects are to be completed by August 31, 2019.
or continue a project that will benefit the local environment. the counties of Lanark, Leeds and Grenville and the Town of Smiths Falls. complete the online form here: https://goo.gl/forms/qucEXHzb9ZFTwlM52 . **Please Note: Preference will be given to groups that benefit those locally. Please note that only successful applicants will be contacted. Thank you for your interest in the REAL Action Grants. Download a printable version of the above information. Looking for More Ideas or Information? The following are suggested projects only. Montague Public School Eco Club. This group, led by Kathleen Lang, will use the money to build a raised garden bed for the seeds they have planted. They are learning about how food is grown from seed to harvest. 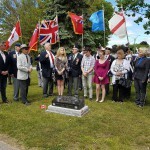 Smiths Falls – Dene community Student Exchange. The grant will subsidize one SFDCI student to participate in this exchange with a fly-in Dene community in Northern Alberta to examine change, conservation, and active citizenship through environmental education and experiential learning. Outdoor Education and Climate Change Summit. One SFDCI student will be subsidized to attend this overnight field trip, led by teacher Meaghan MacPherson. The project addresses climate change and gives students an appreciation for their natural environment. Food for Thought Program, SFDCI for a hinged-lid composter and other garden supplies. Youth Connections Program, RNJ Youth Services for a greenhouse on site of Bethel Christian Reformed Church and garden supplies. Grade 10 Applied Science Class, SFDCI for support of their Outdoor Education and Mock Climate Change Summit field trip. The Drummond Central School Parent Council for rain barrels and tools for their Pumpkin Patch Project. SFDCI Food Program and Special Needs Class for raised garlic beds in their community garden. The Lanark Highlands Youth Centre for a freezer to preserve produce grown in their community garden. YAK Youth Services, for tshirts and a moving dolly to support their Green Volunteer Program. The SFDCI Environmental Club for a water bottle filling station. Community Support Services Perth for an in-house recycling program . SADV Women’s Monument Committee for a tree planted in Perth to honour women who have been victims of violence. Carleton Place High School Enviro Project towards their winter field camp where students will study climate change.